The world reacted on Thursday to the death of John H. Glenn Jr. with an outpouring of remembrance and praise for the decorated combat veteran and test pilot who became the first American to orbit Earth. Many revered him as an icon, space legend and true American hero. In a flood of social media posts, everyone from President Obama and President-elect Donald Trump to Elon Musk to current and former astronauts expressed their sadness over losing Glenn, who was one of the original seven Mercury astronauts in the initial chapters of the Cold War space race, and later became a U.S. senator. Glenn died at the age of 95 after being hospitalized at the Ohio State University James Cancer Center. “We are saddened by the loss of Sen. John Glenn, the first American to orbit Earth. A true American hero,” NASA tweeted among a slew of posts remembering the icon. “Though he soared deep into space and to the heights of Capitol Hill, his heart never strayed from his steadfast Ohio roots. Godspeed, John Glenn!” Kasich said. 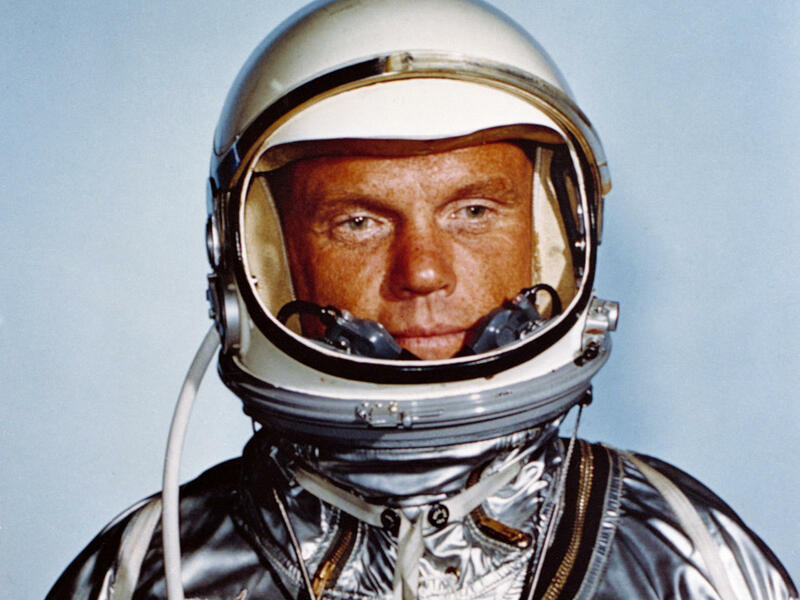 As a boy, John Glenn lifted my eyes to the heavens. Today, they welcome him back. Glenn served his country with profound humility, said U.S. Sen. John McCain, R-Ariz.
Sen. Bill Nelson, D-Fla., a former shuttle astronaut, called Glenn “a first-class gentleman and an unabashed patriot,” while Roger Launius, National Air and Space Museum associate director and historian, called him “an honest-to-God hero.” Many others involved in the space program over the years added to the praise. Ed Harris, who played Glenn in the 1983 film “The Right Stuff,” said he’s always had a huge amount of respect for Glenn. “I never had the chance to meet him, have no idea what he thought of the film, but I mourn the passing of this decent and honorable man and send much love and all good thoughts to Annie and his family,” Harris said in a statement. A kid from New Concord, OH, Glenn was the epitome of a public servant and genuine hero. We will never see anyone like him again. So sad to hear of John Glenn's passing. He was an American hero and we're grateful for all he has done for our country!